This issue contains a symposium on Jeremy Brecher's book Strike!. 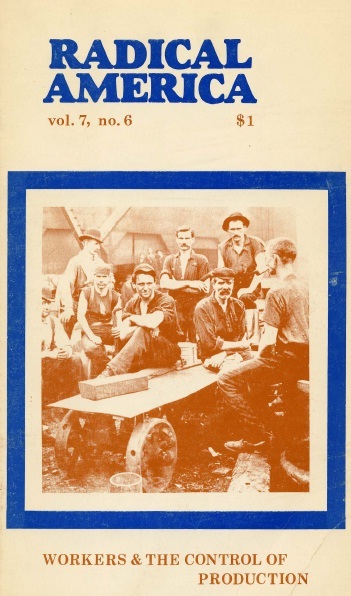 Brecher was a member of the American group Root and Branch, and brought a sort of council communist politics to his research in American labor history. In this Radical America, Brecher's essay "Who Advocates Spontaneity?" addresses criticisms of his book and focuses on the theme of class consciousness. Pdf's of other issues of Radical America are available here.